Thank you, Cindy, for the most wonderful maltipoo puppy and for the utmost professional and superb assistance with the transaction. Too, your help with answering questions and pertinent information that helped our puppy, and us, transition went above and beyond. She is a happy puppy due to your expertise care and compassion. I am so excited to have found Cindy and to welcome by sweet baby to our family. 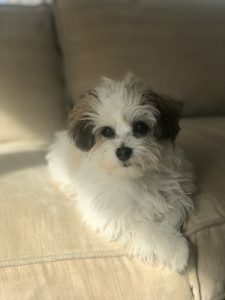 I picked up our sweet Jazzee (maltipoo) on February 25,2019 and she has been an absolute joy to our family. She is loved by all who meet her. Cindy was amazing to work with and so very patient and responsive to my frequent texting. I loved the updates and videos she sent while I “not so patiently” awaited the arrival of my sweet “pooka bear”. I took her to the veterinarian the next day and she was so impressed with how healthy and well cared she was, she remarked on how impressed she was with her up to date shots and how well she looked. I certainly appreciated the care package, which included her blankie, a bag of food, a play toy and lots of instructions, etc for her transition to her forever home. I enjoyed meeting both Cindy and her husband and would highly recommend her for anyone looking for a sweet loving fur baby to add to their family. In fact, we are strongly considering a sister for our sweet baby! 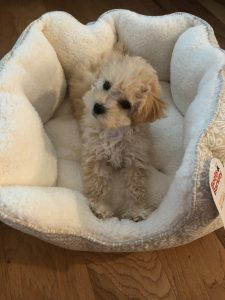 I recently purchased a maltipoo from Cindy. She is a wonderful sweet healthy puppy. I have enjoyed her so much and she is so much company. Lexi is very smart and has been cared for since birth. I highly recommend Cindy’s puppies if you are looking for a sweet healthy puppy. Cindy sends you home with instructions that are very helpful and is always there to answer any questions you may have. I am so thankful I found Lexi!! Thank you Cindy! We brought Cleo home from Windy Way Hill in January, and fell in love with her every day since. 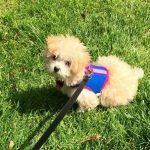 She is the most remarkable Maltipoo puppy; Brave, sweet, adventurous, delightful, and so endearing. She is the light of our lives, and we are so fortunate that we found Cindy Barrett and Windy Way Hills. Cindy made the process easier, and our driving down from Connecticut to meet her transport person went smoothly and without problems. 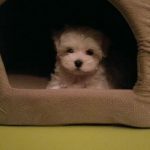 I can wholeheartedly recommend Cindy if you are looking for a Maltipoo! We picked our little girl Maltipoo up 6 days ago and we already love her so much! 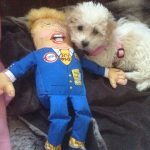 I called Cindy Barrett after seeing her puppies on her website! It was a great experience! She gave me so much information and has still been available for any questions I have had this week. I definitely recommend Windy Way Pups and would buy another puppy from her next time! Cindy was fantastic and so helpful to work with. She kept us updated regularly with texts, video and pictures. If we decide to get another puppy, we will be coming back to her. I am so glad that I had the pleasure of finding Ms. Cindy and Windy Way Hill Puppies. 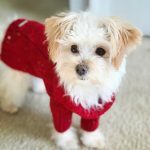 I adopted my Maltipoo in October of 2018 and after waiting 8 weeks, I received my puppy in December of 2018. Waffles has been nothing but fun and everyone in my family LOVES him!!! Ms. Cindy is full of knowledgeable and is always so pleasant. I received pictures and videos so that I could follow along on Waffles’s growth. She answered all of my questions and calmed all of my concerns, right up until the day I picked him up. Waffles came home with a goodie bag filled with food, toys, a blanket, and alot of information to help me along the way. I would recommend Ms. Cindy to anyone that is thinking about getting a maltipoo. Waffles is now 4 months old and is so much fun and so very healthy. Everyone that meets Waffles instantly falls in love with him….so much so that I can’t even go into PetSmart without the staff asking about him (when I don’t have him) or loving on him (which normally takes about an hour trip so that everyone that knows him can see him). PetSmart has even encouraged me to start an Instagram page for him. Thank you so much Ms. Cindy for everything! We have had our new maltipoo, Charlotte, for just over a week now, and she is an absolute joy! She is healthy and so smart. We are enjoying getting to know her personality. Cindy was wonderful to work with and very knowledgeable. She supplied photos and videos while we waited to bring Charlotte home. Cindy also arranged for delivery to us all the way across the state and sent our puppy to us with a bag of goodies and lots of information to help us get Charlotte settled in. 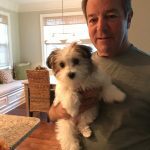 We have been very happy with our entire experience and would highly recommend Cindy to anyone looking for an adorable and healthy little puppy. We would highly recommend Cindy to anyone seeking a Maltipoo breeder! She’s amazing – we couldn’t be happier with our baby girl. 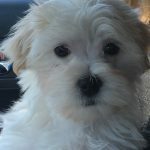 I purchased my beautiful and loving maltipoo, Bash, from Cindy. She was absolutely wonderful from my initial contact and for months as I waited for my sweetheart of a puppy. He has a great personality and loved so much right from the start! Cindy answered every single question I asked (there were many!) and provided photos and even a video along his journey waiting for me! She has such a good and honest heart and I truly trust her. She had wonderful information, paperwork and so many goodies to go home! My vet was extremely impressed and said she doesn’t usually see that kind of quality in preparation. I still have asked a few opinion questions of Cindy almost a month later and she never hesitates to quickly answer. I love my puppy so much I can’t believe how well adjusted and healthy he truly is! Thank you Cindy for absolutely everything!! 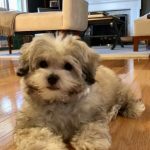 We could not be more thrilled with the blessing of getting to know Cindy Barrett of Windy Way Pups and the precious little Maltipoo we purchased from her, Lily Belle. Cindy is a seasoned breeder and the better the breed, the better the pet. Lily Belle is not only adorable, but extremely intelligent and loves being with us. She is full of personality and you can tell that she came from a great home with Cindy. It was well worth the 7 hour drive from our home to use Windy Way Pups as our breeder of choice for our Maltipoo!! We brought our sweet Milo, a maltipoo, home about a year ago. He is the sweetest, cutest, and craziest little guy. He is super healthy and happy, and we are so thankful for him. Cindy is always there to answer questions and she gives many updates. She even let us visit him around 5 weeks before we brought him home. Her place is very clean and the dogs have plenty of space. She truly cares about her dogs and where they end up. She is helpful all the way till now, as she still answers questions about what food to give him now that he’s an adult. She is amazing and I wouldn’t recommend anyone else! Joy Joy Joy! We picked up our sweet Maltipoo, Chloe, about 5 months ago. She has added so much fun and laughter to our family. 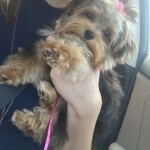 Chloe’s little personality was a perfect match with the first puppy ( Bentley) we got from Cindy three years ago. Bentley is a Bichon – Shih Tzu and loves to be with us and chase balls all day long. He is so playful and now has the perfect playmate. They enjoy being with each other playing and cuddling together to sleep. Thank you soooooo much Cindy for the best dogs ever! Griffey is now 12 weeks old and is the most playful, sweetest, best personality pup ever! He and our other 3 yr old Maltichon (Lily) bonded immediately. They are best buds and inseparable. As luck would have it, we had to drive through a snow/ice storm 9+ hours from northern Indiana to pick him up. It was so worth it. Thanks so much to Cindy for such a great pup! Just wanted to send a quick email to let you know- it’s been a year and Luckie is just the best!! We couldn’t imagine our life without him! It is so obvious that you did your due diligence and we just really appreciate you being such an amazing BREEDER. He has the best temperament and is superhealthy thank you! We bought little Sasha from Cindy over 5 years ago; she is a black Maltipoo. I must say, Sasha is the most sweet dog we have ever owned. She has won the hearts of hundreds of people over the years! Sasha loves loves people, young and old, and other dogs and cats! She is the sweetest dog in the whole world! She smiles at me when I come home. She loves to play chase with my son in the mornings when she is most energized! She loves to snuggle in bed with me even when I know she would rather take a walk! Sasha is now getting trained to go into a Hospice Care Facility where she can spread all of love to those who need it the most! So far, patients absolutely love her to death! She is the most sweet and loving dog in the whole world! I don’t know what I would do without her! She is my sweet girl! Sophie – sorry would only let me submit 1 picture….I had to get all 3 of them to you! I would highly recommend Windy Way Pups for anyone looking for a Maltipoo puppy! Cindy is extremely knowledgeable, responsive and cares greatly about her puppies. A friend who was a very satisfied customer referred us, but I still had a ton of questions while we were waiting to reserve our puppy, Chloe Belle, and after she was born. Cindy patiently answered every question and kept us regularly up to date on Chloe’s progress with photos and videos that helped us get to know her before we picked her up. After we got her at 10 weeks, we had her checked by our vet the next day and she said Chloe was doing great and was obviously well cared for by her breeder. Today, she is total joy for our family and super smart! Began sleeping through the night in her crate in just over a week. She is almost completely outside potty trained at just 14 weeks (no accidents since 12 weeks! ), already heeds “sit”, “stay”, “come” and “leave it” commands, and her disposition is just so super sweet and lovable. We are so happy with our decision. Windy Way breeds great pups! 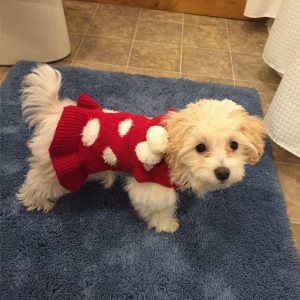 A week ago, I got a female maltipoo “Ahri” for my children’s early Christmas present. She is such a lovable and wonderful pup. Cindy is a great person and dog breeder. I will not go into the specifics because what everyone else is saying about her is completely true—she’s so compassionate when it comes to these puppies. I agree she was very nice, but Cindy was also very reliable and trustworthy. For the past two months, I was anxious about the whole process and how Ahri would look like, will she be sweet, etc. However, Cindy was very diligent and I realized I had nothing to worry about in the end. Anyone who is in search of adopting a pup should consider adopting from Cindy because she is the best there is. 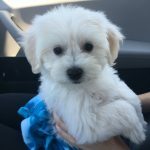 Our search for a Maltipoo breeder led us in a couple different directions but after our first contact with Cindy I told my husband we need not look any further. Her friendly reassuring voice and professional responses were exactly what we needed to make our decision to work with Windyway Pups. Cindy texted us with the news of the birth and provided us pictures and videos. Those were priceless and made the wait a little more bearable. Cindy’s patience with my numerous questions and concerns showed me how much she loves animals and wants the best for them when they leave her. We picked up our Little Gracie on September 29, 2017. With happy tears in my eyes I scooped up our little fluffy bundle from Cindy. It was the moment I had been so looking forward to! Gracie came with her little tote, baby blanket, puppy food , some toys, and some very helpful information. To this day her favorite toy is one from Cindy, a little squeaky pig, that she proudly carries into her playpen when she’s ready for bed. It’s like the pacifier no new parent wants to lose. Our little one was not a very good eater and Cindy was so helpful to guide us on her care. She is such a little sweetheart. So full of energy and loves everyone she meets. Our veterinarian is also our neighbor and he was very impressed with her personality, bright eyes, and good health. She continues to bring us such joy and love each day. We are eternally grateful to Cindy for making this an amazing experience and for our forever little angel Gracie. When we decided to add a maltipoo to our family, I started looking at breeder sites. When I came across Cindy’s site, I knew we had found our breeder! Not only did the adult dogs look healthy, they looked happy. Cindy is wonderful and answered any questions I had. We now have a sweet, happy and well-adjusted little girl in our family. Windy Way Hill Puppies is simply the best. Not only is Cindy a dedicated breeder, she is thoughtful (sending a picture and video of our baby girl) and loves her animals (I knew she was the best when she checked on Quincey her first night with us to make sure we were all doing okay). If you have decided to add a new member to your family, look no further than Windy Way Hill Puppies and Cindy Barrett. We could not have had a better experience. 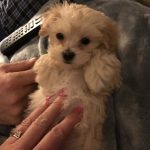 We picked up George, our adorable, sweet Maltipoo, yesterday Nov 10, 2017. He was amazing from the minute we met him. He was friendly, outgoing, and loving right away, and he seemed very excited to meet us. Since bringing him home, he has been an absolute delight. George was amazing in the five hour car ride and has been easy to house train so far, from a combination of our diligence and (mostly) because of his intelligence and desire to please us. He also had a vet check yesterday and could not have been more friendly, calm, and healthy. We are so in love with our George!! Cindy has been amazing to work with because of her wealth of knowledge, accessibility for our incessant questions, and her genuine love for all of her animals. Cindy knew George’s personality and had clearly spent time with him and his siblings. She even checked on him yesterday evening. We are all smitten, and I’m pretty sure George is too! Ms. Barrett is not a “breeder” as you call it. In fact, she is a MOTHER–a loving, kind, sweet, caring mother to all the pups born in her home. She knows her babies inside and out and their parents and their parents parents. We will eternally be grateful to her for bringing our little baby maltipoo, Bindi, into our lives. If you are seeking a new furry addition to your family you will be doing yourself an injustice if you go anywhere else. Our puppy is one of the most well mannered, well behaved, well adjusted (at just 9 weeks), well cared for and healthiest puppies I have ever encountered. Thus far all of our pets have been adult rescues and so I was very concerned about whether I would be a good “mommy” to a puppy. Trust me, our little Bindi makes me a good mommy b/c she is so easy to care for. I attribute that to where and with whom she first opened her eyes–Ms. Barrett. Moreover, when I brought her home and had questions, Ms. Barrett and Lucas remained more available than ever to help. In fact, both were enthusiastic about answering our questions, just as they had been prior to us getting Bindi. Ms. Barrett LOVES her babies…she continues to love them even after they go to their forever home. She provided us with pics and videos throughout..she is as much interested in receiving pics from me now that Bind is with us. We love our little baby and when she is a bit older and “fixed”, we intend to reach out to Ms. Barrett again. Thank you Ms. Barrett–for your continued honesty, concern, love and care before , during and throughout this process. We love you and so does your little Bindi. We promise we will do right by her and by you! I purchased our little Cooper (aka Nicholas, a Maltichon) from Cindy and we have him spoiled already. Cindy was very prompt in returning emails and text as well as answered any question I threw her way, her professional. Cindy not only sent video of the pups to help me choose the right one for our family but allowed me to visit her farm and play with the litter to help finalize my pick. Cooper was a well socialized pup when we picked him up, came with a good bag and vet record. He had already been exposed to puppy pad training and is doing very well with this. He loves to play and cuddle. We will be starting to work on command training next and I expect him to do great, he’s a very smart pup. 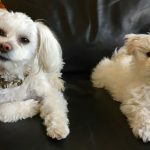 I highly recommend Cindy and Windy Way Pups if you’re looking for a professional breeder who communicates with customers well and provides healthy, well socialized pups. Working with Cindy was a pleasure! I know we got a healthy, happy, smart, energetic puppy who loves to play and cuddle. She is easy going, friendly to everyone and brave. Lucy is a bright ray of sunshine in our house and we absolutely love having her. She has completed our family and is an amazing companion for me as our children begin to leave the nest. I did not think I could love a critter as much as I love this little girl! Thank you Cindy for matching us with our perfect little puppy. Last week we picked up our new boy, Kuper, who is a Yorkiepoo. We couldn’t be happier with him! He has the most pleasant personality. He gets along well with our Boston Terrier, our Beagle/Bassett and even our cat. We have never had a dog this size before, so I was reluctant when our recently adopted son from China said he wanted one. Our son is deaf, but he has recently had cochlear implant surgery, which has greatly improved his hearing. He and Kuper love to watch TV together and play. Our other son was not happy about us getting a “small fufu dog” as he called the breed, but it only took 1 hour for Kuper to change his mind about that! Now he adores him as much as he does our other fur babies! And as for my husband, the first thing he says when he comes home from work is, “Where’s Kup!” He sits and works at his desk with Kuper on his lap. So if you’re considering one of Cindy’s pups, I highly recommend her as a breeder! She is really on top of every aspect of breeding and properly caring for her puppies and other animals. She came highly recommended by our vet who is also her vet, since we live in nearby towns. So if you purchase one of her puppies, you won’t be disappointed. She’s even available after you bring your puppy home if you have any questions, such as what shampoo to use, or house training ideas. That was a big help to us! We had a wonderful experience getting our Maltipoo, “Chewy” from Cindy at Windy Way Hill Puppies. Months after our dog passed away two years ago our daughter has been yearning for a puppy. We decided that this summer would be the right time and spent months researching and looking for reputable breeders. When we found Cindy we knew we had made the right choice. Throughout the entire process, Cindy was wonderful! She consistently communicated with us via phone or text to let us know how our little one was progressing after he was born and took the time to answer all of our questions. In addition, she periodically sent us pictures and video during the 9 weeks that she cared for our new baby boy. 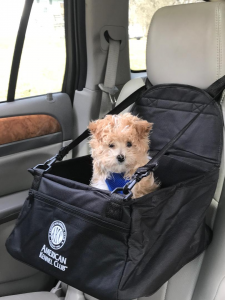 Cindy also made sure that our puppy had all the necessary vaccinations needed at that time and provided all the paperwork organized in a folder. Three weeks ago we took the 9 hour trip from New York to pick Chewy up all the while our daughter not knowing the surprise that was waiting for her. We can’t say enough how much it was worth the long trip! Cindy had Chewy all ready when we arrived to surprise our daughter. She even provided a care package of food, toys, and a blanket. If you are looking to find a fur baby that is perfect for your family, we highly recommend Cindy Barrett. We couldn’t have asked for a better experience!! A little over a year ago, we got Mom a puppy. As “Little Chanel” came into our life, she changed everyone’s World. She is so precious to all of us, especially my parents! She is so loving, healthy and beautiful. Cindy, I just wanted to thank you for being such a great breeder. Thank you so much Cindy for a great purchasing experience! 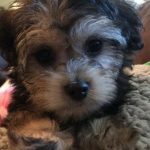 We couldn’t be happier with our sweet, spunky, and smart little Morkie! From your quick responses to my many questions (wink) and courteous updates, and professionalism, you were awesome! Thank you again 😀 I have and will continue to refer those hat I know looking to you! We brought our wonderful baby girl Maltichon home on March 1, 2017. Her name is Misty because she is a Christmas baby. She was the smallest of the litter of four. She is the most affectionate, smartest, and of course the most beautiful girl in the world. Just in the past few weeks She is potty pad trained, knows most of her toys names when asked to fetch, and the most adorable thing that she does is give me nose sugar. As for our breeder Cindy Barrett, is great. No matter what my questions may be or when I ask them, Cindy gets in touch asap. I would recommend this breeder to anyone that would love to have a healthy puppy. I purchased Maddie, a purebred Maltese, from Cindy in April 2015. From beginning to end, Cindy was in touch with me via email, texts and photos. 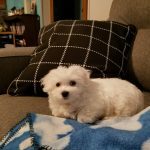 I already had a 6 month old female Maltese and was in love with the breed. While doing an online search, I found Windy Way Hill Puppies. I believe I lucked out by getting the best of the best. Maddie was vet checked right before coming. Cindy sent all her records, a blanket and a toy for Maddie’s travel. Cindy’s friend met us exactly where Cindy arranged and we got our tiny little girl at around 9 weeks old. She is healthy, smart, independent and a Mommy’s girl! I highly recommend Windy Way Hill Puppies! I searched high and low for a breeder like Cindy. 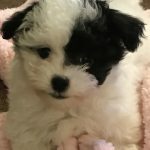 I wanted a maltipoo puppy and checked Cindy’s site daily for quite some time. I saw that she was expecting a litter of maltipoo puppies and let her know I was interested in a female apricot. To my luck, out of the litter born, there was one female apricot baby. She sent me pictures the day after she was born and every couple weeks following. I also received very cute videos of her playing with her siblings. My friends were skeptical- buying from a breeder online? Not meeting the puppy first? (We are 5 hrs away from Cindys farm). But I went with my gut and we have been extremely happy ever since. Cindy has a friend Lucas who delivers the puppies to a location closer to some of her buyers. We picked up Peanut from Lucas in Staunton, VA on 1/22. She came with toys, a blanket, food, her vet records, and an information packet. We took her to the vet the next day and she received an A+ on temperament and health. Since then, Peanut has been the best addition we could ask for. She is the perfect mix of playful and cuddles, sweet and sassy. There is a lot of personality packed into her 2.5lb little body. Thank you for all your help and for giving us our little Peanut. We love her very much. We couldn’t be happier with our new ball of fluff, Sophie. We picked up our dear little Maltipoo almost 2 weeks ago in Manassas via Cindy’s helper. Lucas. From start to finish, Cindy was amazing: she was always very responsive by phone and email, answered a ton of my nervous questions, and it was clear that she really cares about her puppies. My Sophie is in perfect health, as certified by 2 Vet visits so far. 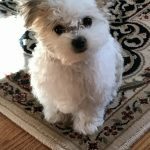 We had looked forever for a reliable, reasonably-priced breeder of Maltipoos and were just about to give up, when we decided to take a chance on Windy Way based on the testimonials and on several phone calls with Cindy. pups up north to Manassas ( one hour away from us). The transfer worked perfectly, and it was clear that Sophie did fine during the long trip. 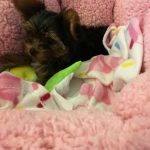 Cindy included a detailed packet of info- from the Vet visits and shots to specialized suggestions, extra food and nutritional supplements, and Sophie’s blankie. This is a breeder who really cares for her babies!! 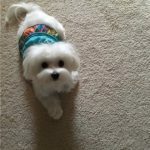 Just wanted to again say thank you for my sweet little maltipoo pup! Koda has been happy and healthy from the first day I brought him home! He is a loving, affectionate, and confident pup! He is a fast learner and loves to be around other people and other dogs as well! If you’re in the market for an adorable new member of your family, I absolutely recommend Cindy. From the first time I spoke with her, I new that my new puppy would be taken care of until I got to take him home! She was helpful the whole way through. From picking out my puppy to answering all my questions, ALL of my questions. She sent me updated pictures routinely which I really enjoyed watching the pup grow even as I couldn’t be there! As a nervous first time puppy buyer, I was worried about not knowing how to best care for my new pup, but she had so much knowledge, advice, and tips and they have been so helpful in training and raising this playful pup! He is now 13 weeks old and healthy and well loved! 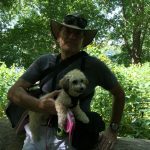 While walking on the W&OD trail in northern Virginia, my husband and I met another couple out walking their dog, the cutest puppy I had ever seen. We chatted with them and discovered the puppy was a mix of a Bichon Frise and toy poodle. Later they emailed us the breeder’s information, whom I immediately contacted. One of her Bichon “mothers” was expecting a litter, and Cindy put me on the list to acquire a female. That began an awesome experience with Cindy. She let me know the day they were born and texted me pictures of the litter so I could pick out my first dog. She continued to text me updates and pictures every 2 weeks until my husband and I picked her up in early May. I am a retired Army veteran and high school English teacher, so this is my first dog. We named her Nutmeg, but I call her Meggie. She is a joy in the lives of my husband and me. As David says, “she is criminally cute.” She was housebroken within 2 weeks (we use the jingle bells hanging from the door knob method). She is playful, intelligent, and affectionate, especially with her own “people” and children of all ages. She never chews furniture and sleeps all night in her crate. She is the BEST dog ever. I feel grateful to have found windy way pups. They are professional and provide all their dogs with nurturing love and medical care from a licensed physician. I just noticed they are expecting a litter of Bichpoo’s for Christmas? Does Meggie need a sister? HMMMMmmmmm! We just wanted to thank you very much having a puppy for us. Her name is Mollie. She is the best addition to our family and most of all, our 4-year old son has bonded quite well with Mollie. I would also like to thank you Cindy, for making the entire process for getting Mollie very streamlined. It seems that you genuinely care about these puppies before customers receive them and you were very transparent throughout the entire process. We look forward to many years with Mollie and thank you again! We are so happy with our maltichon puppy! He is doing so well with potty training on the puppy pads, which seems to be due to the way Cindy raises the puppies. From the first inquiry about her puppies until the day we were receiving our puppy, Cindy stayed in contact with us the entire time and always kept us informed. She sent updated photos and videos throughout the weeks that we were waiting for our puppy to be old enough to be taken home! Any questions that we asked she always answered very promptly. We are from Pennsylvania which is over an eight hour drive to her house, so we were very happy to learn that Cindy has a friend that drives up to Northern Virginia once a week to meet you with your puppy. We took advantage of this service and couldn’t have been happier about it. Cindy’s friend Lucas was awesome, he kept in contact with us while he was on his way so we knew when and where to meet him. When Lucas arrived at the location he was extremely nice and helpful providing tips, advice and information about the puppies and transporting them. He knew we had a four hour drive home so he asked the other people picking up their puppies if he could take care of us first since we lived the farthest distance away, which was very thoughtful of him! We absolutely love this breed! We think a maltichon is the perfect dog for us! Couldn’t be happier! Thanks again Cindy and Lucas! After deciding I wanted a maltichon, I looked on the internet for breeders that were close to Northern Virginia. I found Windy Way Kennel and have never looked back. Cindy Barrett was so helpful and wonderful throughout the process. I found out there were puppies to be born in March and gave my deposit. As soon as the puppies were born, Cindy notified me. I didn’t have a choice of which puppy because I was second in line for a male and there were only two. Every two weeks Cindy would send me pictures of my puppy. As he grew, she would sometimes send videos and she would call him by our chosen name, Murphy. Whenever I had a question, she would get back to me immediately. It was exciting that we got to watch him grow. When it was time for him to come home, we found that the date would not work for us. Cindy held onto Murphy for an extra two weeks. When it was time for homecoming, Lucas (Cindy’s friend) brought him to us in Manassas, Virginia fairly close to McLean. Lucas was also wonderful. He stayed in contact with us for his entire trip so we knew exactly when to arrive at the pickup place. He gave us some instructions and advice before we took Murphy home. As far as Murphy, he is a such a loving, gentle dog. He is a puppy with a lot of energy but he is a quick learner. He is also very handsome although adorable might be a better word for him. He is part of our family and we couldn’t be happier. Thank you, Cindy. We have enjoyed our frenchton puppy that we purchased from Cindy, he was born May 2nd and as of today July 9th he is in the process of using his pee pads ( not 100%) but at least he is makeing an attempt to , we also reward him with a treat when he does good so he will sit for his treat, he is sleeping in his own bed every night , and the royal canin puppy chow , wow, he loves that food, his stool is firm and our vet was very impressed with his health, as of today he has visited the vet twice ,first check was a health check , in witch he was perfect , and the follow up checks will be to finish off his shots. We are so thankful to have met Cindy and purchase a great pup from her. He has brought a lot of life to our house ,our 13 year old chihuahua is makeing friends with him, Did I mention we named him Elvis !!! Thanks Cindy for a great pup! Tim&Sue Dolen, Fall branch Tn. I have the greatest respect for Cindy Barrett. I have purchased two pups from Cindy and both of them have become loving members of our family. The pups were well socialized and healthy. Cindy provided accurate shot records and detailed information on how to best care for our new pups. You won’t find a more honest person to deal with. Cindy, I can’t thank you enough for my sweet little Stella. 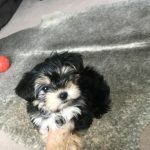 My little one is so energetic and loving I enjoy every moment spent with her, I am so happy I went with the Morkie breed. She is in the best of health and the our veterinary hospital love when I bring her in for her check ups. You really made the process easy, waiting nine weeks for your little pup is tough but your updates every other week made the time pass so quickly. I recommend Windy Way Hill puppies to anyone looking for a little pup, Cindy is so helpful and such a great breeder. Thank you soooo much Cindy!! I wanted to give you an update on Little Lucky who went to my vet on Saturday for his first check up here in Lynchburg. He got some booster shots and a thorough examination and was pronounced to be a very happy, healthy, well-socialized 12-week old puppy! That was no surprise to me, but it is good, nevertheless, to hear it from the vet! In the 2 weeks that Lucky has been here in Lynchburg, he has adjusted remarkably well—much better than I expected, to be honest with you. From the time we picked him up until we got home, he was a wonderful little traveler. He complained a short time when we put him in his little crate, but settled down quickly. Thank you for this precious little guy! I am so glad I found you! 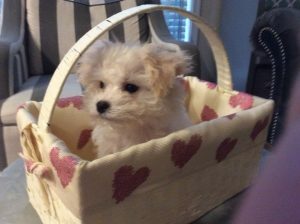 I think I told you that once I settled on the breed I wanted, I googled Maltipoo puppies in Virginia. Your website came up and because I was born in far Southwest Virginia, I was immediately drawn to it. How lucky for me that I found you! From my first contact with you weeks before he was born until I picked him up on April 10, you were so helpful. I remember once when I felt I should apologize for asking so many questions and you assured me that it was okay. I really appreciated that! Both my friends and I loved the pictures you sent on a regular basis! One of my friends bought him a little red wagon after he saw the photo you sent of Lucky in a wagon! It was really fun to watch him grow via e-mail! And did he ever grow! He now weighs 4.5 pounds and the vet thinks he will probably weigh 10 pounds when fully grown which is exactly what you said. Whatever he weighs will be fine with me! On Saturday the 30th he is going to the groomer. One of my friends recommended that he go there and hang out for several hours to get used to the sounds of the clippers, dryers, other dogs barking, etc. So, he will be on his own for 2 hours on Saturday. He has already been there once to meet the groomer. He captured her heart by promptly giving her a face wash! What a wonderful little guy you raised! It is obvious to everybody who has met him that you did a wonderful job raising him for the first 10 weeks of his life! He is such a friendly, little guy. Watching his little tail wag in excitement, you get the feeling that he is smiling at everybody he meets. Thank you Cindy! I am so glad I located you! It was a pleasure to work with you. I so appreciate your patiently answering all my questions! I could tell when I met you for the first time when he was 5 weeks old that I was fortunate to have found you! Little Lucky sends his love to his first Mother! March 3, 2016 was a big day for our family! We finally got to bring our 9 week old puppy home. We found out at the first of January the babies where here and we would get to pick from this litter, once we decided on our little girl we couldn’t wait to get her. Cindy made the wait easier by sending regular updated pictures and even a short video. Anytime we had a question we got a quick reply. Our girl, Tilley, is doing wonderful and our five children love her so much. We would highly recommend Windyway Puppies! 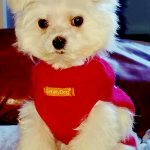 I would like to share my experience with Windy Way Pups. I had been researching what kind of breed to get do to my allergies. I needed a pup that was Hypoallergenic and I had my heart set on a Maltipoo. A friend of mine ran into the website while helping me search. I emailed Cindy and she replied right away. She only had one more Maltipoo left and she sent me a picture, he was only a couple weeks old. My boyfriend and I decided that he was our pup! 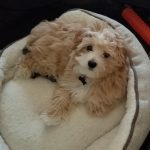 Cindy replied to all my questions and provided bi-weekly pictures of our puppy. 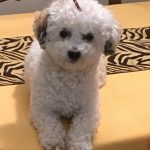 We received our Maltipoo on February 14, 2016, and we named him VUK. He truly is our Valentine’s Day baby. We met with Cindy’s family friend Lucas in Manassas to pick up the puppy. Lucas was great! Vuk arrived clean and with a nice bag of puppy supplies. I also received a folder with recommendations and tips. Inside the folder was a vaccination record card, which I thought was the cutest thing. I took Vuk to the Veterinarian 2 days later and the Vete shared that he was in perfect health. My pup adapted rapidly to us. He is almost potty trained, and he sleeps through the night. My family and friends can’t get over how incredibly beautiful and well-tempered he is. Cindy was amazing to work with, she took the time answered all my questions via phone, text, and emails. I shared with Cindy that my pup didn’t like the crate and she recommended a puppy play pen form amazon. I purchased it and my puppy is very happy. And we couldn’t be any happier! Also, I have no allergies to my pup! I would definitely recommend Windy way pups to my family and friends, they are excellent breeders. Thank you Cindy for everything! And thank you Lucas for making the trip to Northern Virginia. I received my puppy Bella Knoel on 9 January. 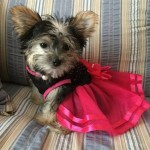 Bella’s a Parti Morkie. She arrived healthy, clean and with a great bag of puppy supplies. Cindy, you are amazing, answered all my questions, phone calls and emails. You are a true professional and I will refer everyone I know that are worthy of your precious puppies! My Bella is house trained, she sleeps through the night and knows commands. Come, sit, stay and eat she’s 3 months old and 2lbs! She’s house trained. She is beautiful and a healthy, thriving little puppy, and we couldn’t be happier! Thank you so much Cindy, for helping me through this process. I just wanted to touch base with you to let you know how happy we are with our new puppy Mason. He has fit into our family very well and seems happy and well adjusted. He has a great disposition and with help from our local veterinarian and “Old Town School for Dogs” we are learning how best to care for him. He is everything we could have hoped for and the kids are in love with him. Thanks very much for helping answer our questions and working with us to bring him home. We would like to share our most positive experience with Cindy at Windy Way Pups in fulfilling a dream for our children. We wanted to give our children a puppy for Christmas. They have been wanting a dog for many years and I made a promise to them years prior. Due to my allergies, I knew I needed a hypoallergenic breed. After much research, I began searching for maltipoos and maltichons. I found Cindy’s website. I loved seeing her dogs, recent adopted puppies, information on the different breeds, and the testimonials from other clients. I emailed Cindy and she called me on her way back from vacation (in the airport in route). 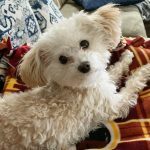 She was so helpful in providing details on the different temperaments of the dogs that I knew the maltipoo would be the best fit for our family. 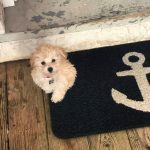 I also felt Cindy was the right breeder to obtain our puppy and would be well worth the travel south from Northern Virginia.. Cindy contacted me after the expected litter of maltipoos were born. She also provided pictures of the newborns for me to choose the puppy we wanted. Cindy was responsive to all my questions and provided bi-weekly pictures of our puppy. She even sent an extra picture of when the puppy’s eyes finally opened. Throughout the entire process, Cindy was responsive, extremely helpful in our preparation, and easy to work with. When we finally picked up our puppy, we obtained a clean, well adjusted puppy who we learned quickly could pee on the pedi pads! Cindy provided us with detail document for tips in caring for our puppy, bag of food, blanket, and our puppy’s toy. She had weaned our puppy from her Mom week prior and then her siblings to avoid her crying all night for her new family. Our puppy is so well tempered and adjusted so well to her new environment. Our kids named our new addition, Bella Noel. They were so surprised and say it is the best Christmas present ever. Huge thank you to Cindy for her expertise in providing us with such a loving, easy going, and apparently trained puppy who pees on pedi pads and sleeps when the lights are off. My parents were so impressed with the appearance of our puppy and her behavior that they are wanting to pursue a puppy from Cindy. We are forever thankful to Cindy in providing such a wonderful addition to our family. We picked up Henry the week before Thanksgiving 2015 and could not be happier. Henry was Vet checked after we bought him and was in excellent health. Cindy was so helpful and friendly when I asked questions and believe me I asked a lot of questions. We went up 2-3 times before we picked him up just to look at him and see how he was growing, and Cindy always made us feel welcome. Henry is doing great and is very smart. Thanks Cindy! It was an absolute pleasure working with Cindy. I sought her out based on reviews and recommendations and am so happy with my new puppy. I came home with a female Morkie and we’ve had our first veterinarian visit and the vet said she was perfect. Cindy was excellent at keeping me updated on her progress, from birth up to 12 weeks. She even kept her a little longer for me so I could make her a Christmas surprise. Cindy provided me with very specific instructions of how to care for her and a bag full of “help” with her first few days in a new home. Cindy even contacted me that first evening to see how things were going. I love my new puppy and can’t wait to watch her grow with my family. 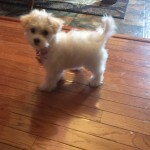 My daughter and I bought our little of bundle of joy that we named Lilly (aka Maltipoo) from Cindy in September. When we picked her up, Cindy had made sure that she was given all her shots and sent us home with not only Lilly but a goody bag full of food, nutrition supplements, toys and a blanket. Lilly was healthy, happy and had been introduced to people and was just a well-rounded little puppy. A couple of day after we came home, I took her to the vet for her initial well-being checkup. The vet decided she needed a dewormer (Lilly didn’t have worms) and was evidently given entirely too much medicine. She became very sick and I took her back to the vet the next day and was told basically that dewormer caused an adverse reaction and that she would be fine. Well, she wasn’t. She became sicker and sicker and then she got to where she couldn’t walk or hold her head up and all this happened in two days. I called Cindy in a panic and she told me to bring Lilly to her right away. When we arrived, Cindy immediately knew that her blood sugar had completely tanked from the diarrhea and vomiting. She got medicine into Lilly right away. Cindy sent me home with all kinds of supplements and food and wouldn’t accept any payment whatsoever. She sent emails to me checking up on Lilly to make sure she was doing better. I am convinced that had I not taken Lilly to Cindy that day she wouldn’t be with us. Cindy goes above and beyond a dog-breeder; she cares about her little ones and wants them happy and healthy. If you are in the market for your own little bundle of joy, I highly recommend Cindy. We had to thank you again for our new puppy! Our little black and tan maltipoo, whom we named Butter Bean, has transitioned so well into our family. He’s doing exceptionally well with his crate training, and is sleeping for extended periods at night. Even though he’s a little guy, he’s feisty and playful. He learned to fetch in under a week. After a short period of needing chicken to coax him to eat his kibble, he’s now eating the dry kibble just fine. He’s also playing so well with our daughter and son. He has been made to play dolls so often that his favorite napping spot is currently our daughter’s American Girl doll bed. My husband is taking butter bean to work for half days so that he doesn’t stay crated all day. He’s so calm and quiet that he causes very few distractions to his co-workers (other than the times people can’t put him down bc he’s so adorable!). We have raved to people about you. Your breeding program clearly produces quality pets, with even temperaments and loving personalities. We look forward to working with you again in the future. We feel very fortunate to have found Windy Way Hill when we were looking for a maltipoo puppy. Cindy responded right away to our inquiry and from our first conversation it was clear that she is not only very experienced and knowledgeable, but also tr uly cares about each and every puppy. We had lots of questions throughout the whole process and Cindy was a great help. She kept us up-to-date with pictures of our Chloe, and we were able to stop by to meet our little one and the parents early on. We wanted to be sure to get a sweet natured puppy that would be wonderful with children, and Cindy made sure we got just the right dog, We could not be happier with our little Chloe, who fits right in with our family. Her thorough medical records and well stocked starter kit were also impressive, and Cindy has been wonderful with all of our questions since bringing Chloe home. We would highly recommend Windy Way Hill. Thank you Cindy! We researched and waited for over a year to find our new addition and the right breeder. The wait was worth it! 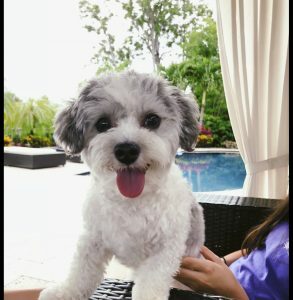 We could not be more pleased with our bichpoo, Stella. Cindy was both professional and personable throughout the process. She communicated with us and kept us up to date regularly. It was evident to us from the very beginning that she genuinely cares about her dogs and puppies. Even the gentleman who helped transport her to us here in northern Virginia was professional, personable and showed genuine care for the precious cargo he was delivering to families like us. When we took her to our local vet for the first time for a check up and routine shots, our vet said that she appeared quite healthy and demonstrated an usually sweet and well adjusted disposition not common in newly brought home puppies. She said that part of that was genetics and the other part was that the breeder obviously had cared for her well. (The entire office staff ended up taking selfies with her because they could not get over her incredibly sweet and friendly personality.) Thank you, Cindy! Cindy, We just wanted to update you on Izzie, she is doing great and she thinks she rules the house. I just wanted to say how adorable she is, she has become part of our family. We would like to thank you again for your time in helping us as new dog owners. We could tell from our first phone conversation how caring you are for the dogs you breed. Izzie has been a real joy and we have truly come to love her. Every time we take her out we are always approached by people wanting to play with her, Izzie is definitely a people person. Please use us as a reference in the future, I have also attached some pictures of Izzie for your enjoyment and if you would like to post. 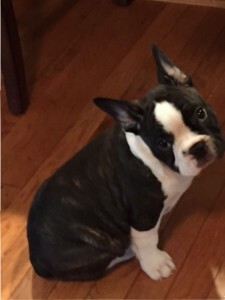 I am so pleased that I chose to get my Frenchton, “Cooper” from Windy Way Hill. Cindy was beyond nice and helpful. I couldn’t be happier with the whole experience. Cooper fit right in with our family especially with his two new brothers. I highly recommend Windy Way Hill to anyone who’s looking for a healthy, happy, well taken care of puppy. We just wanted to say thank you for everything. Zeus is doing wonderful. His personality is bigger than life, which fits our family perfectly. He is fearless, needless to say he and Ethan are already best friends. We couldn’t be happier with our little guy. So glad we waited for one of your puppies. Your knowledge is beyond compare. Thanks for your guidance and patience. I just wanted to give you an up date on Scout. She got her first haircut today! The lady who cut her hair said she was the best puppy she ever cut in her 10 years! She has also been going to puppy daycare at her vets office. She loves it! She plays all day with her puppy friends and comes home exhausted. They all say she is like the best puppy ever! Thank you so much for bringing so much joy into our lives. We love her so much and feel so blessed to have such a sweet puppy! Hope all is well with you! We absolutely love our Princess Rosie! She is worth every minute of the drive from Virginia Beach. We have had our precious Morkie for just a couple of days, but she is already part of our family. She gets along beautifully with our elderly lab and both of our cats. She has given new life to our lab. Zoe is excited to wake up now- and ignores her arthritic pain to “help” us look after our new baby. Our 5-year-old granddaughter fell in love with her right away. Rosie climbed on her lap as soon as she sat down and promptly gave her a face full of puppy kisses! She already knows how to ask to go out for the potty- and even did so in the middle of the night. No accidents at all, so far. She eats and sleeps well. We waited for our Princess Rosie from the time before she was even conceived, and she is everything we hoped for- a tiny, perfect little angel. I read these testimonials online and explored lots of options before calling Cindy- I found that everything you read on this site is true. I found the right breeder and the perfect puppy for our home. Thanks, Cindy! 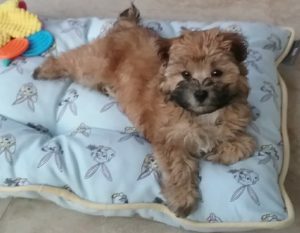 Almost three months ago, we were blessed with a cute little Morkie by Cindy at Windy Way Hill. We couldn’t be any more happier with “Tiko”. I was a bit skittish about purchasing a dog online but Cindy made it a seamless and comfortable process. She was very accommodating with the delivery which was only ten minutes from my home. Tiko is a healthy, smart, and loving dog that has made a wonderful addition to our family. We’re so grateful and would definitely recommend her and Windy Way Hill. Thanks again!! Just wanted to say thanks for much for everything involving our new puppy “Tater.” We have now had him about 2 months and he is wonderful. Cindy was incredibly helpful leading up to us picking him up, had all of the necessary information, supplements, and even some toys for us to take home, and been fantastic about follow up to questions we have had since. We couldn’t be happier with the entire experience, and our new family member. Thanks!! Just wanted to drop you a note and let you know how pleased we are with our little guy! He is a happy, healthy, exuberant little guy who loves everyone!! He just turned a year old in Friday. He graduated from puppy school and is going for his next level of training in the next several weeks. We are hoping that he can become a therapy dog. I recommend you often! 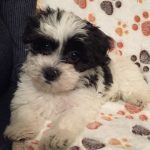 We got our amazing malti-poo puppy from Cindy at Windy Way Hills and we are over the moon in love with him. He is perfect in every way. Healthy, happy, smart, awesome personality, loving. Cindy cares for these puppies so well and gave us so much information on how to take care of him, what to feed him, how to train him. We asked so many questions and she answered them all. He is cuter than the pictures and he came with his blanket from his mom (so he could be soothed by her scent), a bag of food, a toy, all his records. We looked everywhere for the right breeder and I recommend Cindy to the highest degree. I cannot be more grateful and pleased with our new addition to our family. Two years ago we adopted a beautiful Morkie puppy from you. In emails you referred to him as “the golden brown boy”. Because he was so tiny and brown (like a lentil bean) I wanted to name him lentil. Matt and the three kids said no way, so I suggested Lenny – and the name “Lenny” stuck. I’ve been meaning to send you updates for the last couple years, but you know how time flies! I’ve attached some photos of him. As you can see he’s no longer brown. He has a tiny spot of black on one ear, which is really adorable.He’s been a wonderful addition to our family. He’s fabulous with kids. All the neighborhood kids come over to play with him often. He has a few dog friends in the neighborhood, but his best friend is a golden retriever named Chelsea. (see photo below). He spends every Tuesday with Chelsea. A neighbor comes over midday to let them both out to play. During the week we have a dog walker (a homeschooled 10-year-old boy) come and walk him. He often has doggy play dates with other dogs in the neighborhood. Neighbors invite Lenny over along with a few other dogs. He tends to be very afraid of dogs he doesn’t know. When he’s on the leash, he growls and lunges and tries to be the alpha dog. He’s actually much better when he’s off leash. We took him to a dog obedience class called “Rowdy Rovers”. The trainer suggested we simply turn around and avoid the other dogs while focusing on a treat for Lenny. That seems to solve the problem. He’s actually very well-trained. He seems highly intelligent. He understands a lot of words such as treat, outside, Chelsea, and “get your toy”. He’s got such a great personality. He loves to snuggle, which we do often! We just wanted to let you know how much we love and cherish our Morkie. Thank you for raising a good one! We are so blessed to have cross paths with Cindy and Windy Way Hill Puppies! This was our first time purchasing a puppy online and I have to say we’ve had the best experience with Cindy! She is very business oriented in which is very appreciated when you are dealing with the internet. When we made our deposit our receipt was emailed and mailed. While awaiting on our Ace to be ready, Cindy was very helpful with preparation and updates. She made sure to send us pics on the items she was using so it would be an easy transition for Ace. Cindy is very professional and we appreciate how she cut our drive by an hour and half by meeting us. Our lil Ace is so adorable and healthy. When we picked him up Cindy went over everything! She even had a cute little puppy starter kit! If you are looking for a healthy four legged companion, Cindy and Windy Way Hill Puppies is the way to go! Hello! You probably don’t remember me but I bought one of your maltipoos a few years ago. He’ll be 2 this November, and we absolutely adore him! Thank you so much for him! My grandmother is interested in your Maltichons. I was emailing you to ask if I can be notified when your next litter is born and Hopefully have first pickings on them, haha! Also any advice on how the Maltichons and maltipoos get along? Thanks you so much. I found Mrs.Cindy doing an online Morkie search for Virginia. I immediately emailed her to see if she would have some puppies near Christmas. She said that Gracie took, and would be ready “around” Christmas. I was ok with that. I sent my deposit, and stayed in contact via email and phone conversations. The communication was key with me. Mrs.Cindy sent me updated photos of Quinsy’s growth, and gave me vet updates on weight (which I thought was very professional). Due to Little Quinsy being a finicky eater she was still a little under weight and she wanted to keep her a little longer until she gained more weight. I was a little disappointed at first, but then, I thought that a GOOD BREEDER really cares about their puppies health, weight and temperament, and I only had to wait another week which wasn’t too bad. Quinsy was VERY HEALTHY when I picked her up from her. I had a little orientation from Mrs. Cindy with the care of a Morkie puppy. I received vitamins, a nice Royal Canin starter kit, blanket, toys, and her paperwork from the vet. Mrs. Cindy is VERY PROFESSIONAL and loving. I will get my next puppy from her once Quinsy is a little older, since I had a great experience my first time. SIDENOTE: The puppy pen in her house was clean and neat (I REALLY RESPECTED THAT). I highly recommend getting your Morkie, Yorkie, Maltipoo, Frenchton, or Maltichon from Windy Way Pups, and Mrs. Cinday Barrett. If you need to discuss my experience with her, please feel free to contact me. I’ve changed Katie’s name to Piper, and so far she responds to it pretty well. Thank you so much for taking such good care of her. She came to me well-socialized and eager to explore her new surroundings. She took her vitamins right off my finger and watched the Packers game with me on our first night! Piper is such a joy. She’s affectionate, spunky, and ready to take on DC. I appreciate you for helping me navigate the new puppy process. As a first time dog owner, minus childhood dogs, you made me feel competent and you were very supportive. Our next adventure includes sleeping through the night, which comes with maturity of course. I will gladly recommend you without reservation to anyone seeking a happy and healthy furry companion. and happiness to my family. I know if I have any questions or concerns that Cindy is only a phone call away. Windy Way Pups is the one and only place I will continue to go for any of my future puppies. Thank you, Cindy for all of your help, you’re awesome. Cindy!!! I can’t thank you enough for our lil shadow!! He is so wonderfully a part of our family and doing well!! He ate his dinner breakfast and lunch seems like eating isn’t a problem for him just like the rest of the family!!!! He already peed on the pad and knows how to potty outside! Such a smart little lad!!! I know he was well cared for and I thank you for taking such good care of him. Also tell Lucas how great he was in delivering the puppies it was such a big help and he was so sweet!!!! Lil shadow has been hiccuping a lot and was wondering of that is normal for a puppy? Thanks again for everything!!! Cindy and Windy Way Pups are wonderful! We added 3 little playful and cuddly additions to our family and are in love. Ms.Cindy has such a passion for taking care of her pups, she is very helpful and kind. We recommend Windy Way Pups! As you can see from the attached pictures, Sadie Mae is doing amazing, and settling into her new surroundings beautifully! We are in the throes of housebreaking, walks, naps and lots of puppy play. Our vet said she looks wonderfully healthy and happy. We can’t thank you enough for all your patience to our endless questions and emails, but most of all, thank you for the gift of our little Sadie Mae. We bought a Maltipoo puppy from Cindy. She was very professional and helped with any questions or concerns we had. She truly cares for her dogs and it shows. We were even given supplies and instructions to make sure the puppy got off to a smooth start at his new home. We love our little Rigby, who is perfectly healthy and happy. I would give Cindy my greatest recommendation for anyone who is interested in getting a puppy. I’m so happy with my Maltipoo puppy. She is so adorable and spoiled. I get a lot of compliments everyday when I take her some where, people always saying how pretty she is, and ask me where did I get her from… I tell them I seen her online and fell in love with her… I recommend Ms.Cindy she take care of her puppies, the paper work is legit and the process is 100% safe and worth it…. The drive was well worth it, I’m happy with my Lil’Abby!